CTE, concussions, ACL tears, these are some of the terms that are thrown out today when it comes to athlete health and safety. Even though there have been a lot of advances in the equipment athletes wear today, field type is still key. Today’s artificial grass is light years ahead of the turf used in the AstroDome. Over the years, the main driving force for the improvement in turf has been safety and playability. 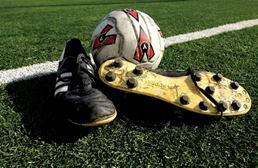 The advantages of having a turf field are numerous, but here are a few listed below. So how is artificial grass that much safer you ask? Well, the safety is not in the grass itself, but in the system. Let’s start from the bottom up. Properly drain water from the playing surface. 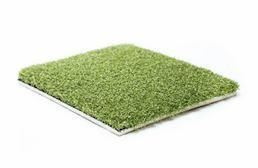 Create a flat solid surface for the fake grass. This also is important for player safety since a pothole in the middle of a football field would create a nightmare situation for any star running back or receiver. After the base has been laid, the next part is the field turf itself. Now, there are a lot of different types of turf out there, so it can seem like a very daunting task to try and narrow down which product will work best for your activity. Let’s break down the key points. The first thing you will want to look at is whether or not the turf can be installed outdoors. This is very important. 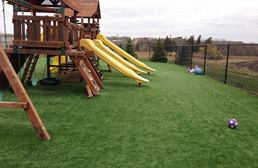 Nylon: A good rule of thumb is that Nylon turf products can’t be used outdoors. This is because they will typically fade in direct sunlight. Nylon is a very strong fiber but just won’t look as pretty outdoors. Polyethylene: Polyethylene can be used indoors and out and is the preferred fiber for outdoor fields. This fiber is also very durable and has a higher UV rating compared to other fiber types. The next thing you will want to consider is the pile height of the field turf. For competition, you will want to go with a thicker turf since this will give you the most natural look and allow you to put an ample amount of infill in your turf. For practice fields, a thinner turf is typically desired. The last thing you will want to consider is the face weight of your turf. Now face weight is a fancy word used to describe the density of the turf. It’s kind of like saying quid pro quo instead of saying this or that. Typically you will want to go with a higher face weight for fields that will get a lot of use. Essentially the higher the face weight, the more abuse your turf can take. Now that you have narrowed down which type of artificial turf to go with, it is time to add the icing to the cake. Turf’s icing is infill. Now, not all turf fields will need infill and some you won’t be able to add infill to. You can add infill to turf products at least 1” in thickness. Why would you want to add infill to your turf? Well, infill is the part of the turf that can be manipulated to create the safe, fun playing field that your athletes will want to play on every week. For most athletic fields, you will want to use a mixture of Silica Sand and Rubber infill to create the perfect playing surface. Silica Sand helps keep the blades of the grass standing up and also helps with drainage and keeping the turf hygienic. Rubber infill adds bounce and cushion to your field turf. 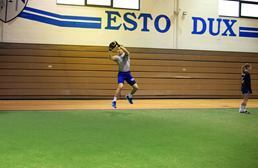 It is the main proponent to preventing injuries. For indoor installations, there are some slight differences. Since most indoor field turf installations are used for practicing purposes, they are typically thinner than outdoor field turf. Unlike the thicker outdoor turf products, these fake grass rolls are thinner, which means infill can’t be added. For these turf rolls, you will have to create that same bounce and cushion with padding. A good deal of our indoor field turf options come with an attached foam pad. 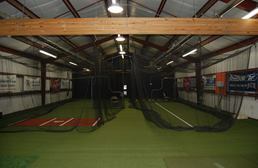 You can also use other types of foam and rubber pads with our indoor field turf options. 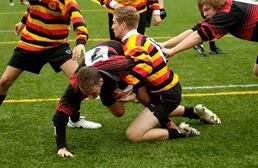 For indoor turf fields that are used for competition, use the same thicker turf products that you would use outdoors. You can infill these fake grass rolls as you would outdoors, and you use either the same base as a typical outdoor install or use padding. 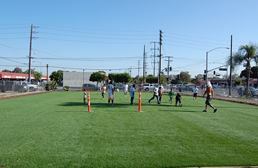 Most indoor artificial turf fields are installed over a concrete pad. When the first iterations of turf fields were installed, the number one complaint was how hard the field was on players’ bodies. However, with the advent of padding, this issue has been virtually resolved. Many people think that indoor field turf installations are primarily glued down, but actually, most are attached using industrial velcro. Since most indoor spaces are used for more than just sport, velcro makes it very easy for the grounds crew to remove and reinstall the turf as needed. Now that we have gone over the types of turf to look for and how to properly set up your field turf system, let’s go over some of the products that we offer. 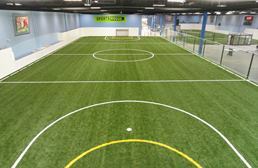 Our Elevate Series is our premium indoor turf system. These turf rolls can be installed both indoors and out but must be installed over concrete. Most of the rolls in this series are too thin to infill. Instead, they offer an attached pad for added bounce and cushion. These rolls are the perfect multi-sport turf rolls.Bonus: they are cleat-safe. Our Sports Play, Sports Play Premium, Elite Play, Extreme Turf Rolls are part of our premium outdoor artificial grass line. These rolls are all multi-sport rolls and can be installed indoors and out. All are these fake grass rolls are cleat-safe and offer different face weights and thicknesses for your field turf needs.